Basics, Pros and Cons of E-Verify - Experienced Law Firm Utah | Buhler Thomas Law, P.C. Technology has played a real role in citizenship and employment verification for many years, and it’s an area we’re very cognizant of at the offices of Buhler Thomas Law, P.C. Our citizenship attorneys know what kinds of verification are being used, and how to advise clients on all appropriate actions. For the last two decades, the primary method of internet-based employment verification has been the U.S. government’s E-Verify system. Let’s go over the history and basics of this system, plus the benefits and drawbacks. The E-Verify program was introduced as a pilot in 1997 by the federal government. It was designed as an internet-based system that allows businesses to personally determine whether their employees are eligible to work in the United States. Unless you are a federal contractor or it’s required by specific state law, E-Verify is still a voluntary program – companies do not have to use it. Many employers struggle to decide whether or not to use the program. Here are a few of the main factors that play into these decisions. Rebuttable presumption: A presumption that a company did not hire any unauthorized workers, and cannot be charged with a knowing violation of employment verification laws. Quick info on whether an employee’s information matches government databases. Possible favorable treatment during auditing. More awareness to mistakes or errors. If the program becomes mandatory down the line, avoid an inconvenient rush to train staff and get up to speed. Time is required to train employees to use it. The government requires signature of a Memorandum of Understanding. This MOU allows periodic audits and employee interviews at the worksite. Usage will be regularly monitored by the E-Verify Monitoring and Compliance Branch. All employment verification data can be accessed by the government, which can increase liability in some cases. Staff may refer cases of suspected misuse to other enforcement agencies. There are additional form requirements. 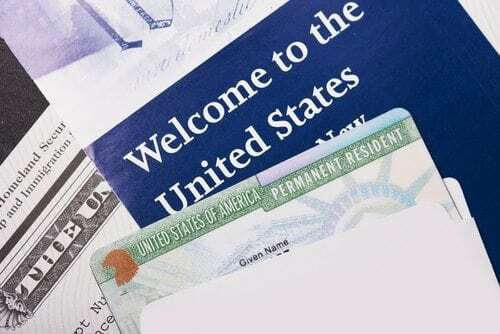 For more information on whether E-Verify is right for your company, or to find out about any other green card or immigration attorneys, contact the offices of Buhler Thomas Law, P.C. today.